No one likes to waste money on Facebook ads, right?! That’s where proper testing comes in! The longer you let Facebook ads run, the longer the algorithm has to find the right people within your audience. Over time you’ll lower costs, learn what’s working the best, and be able to improve and increase results! 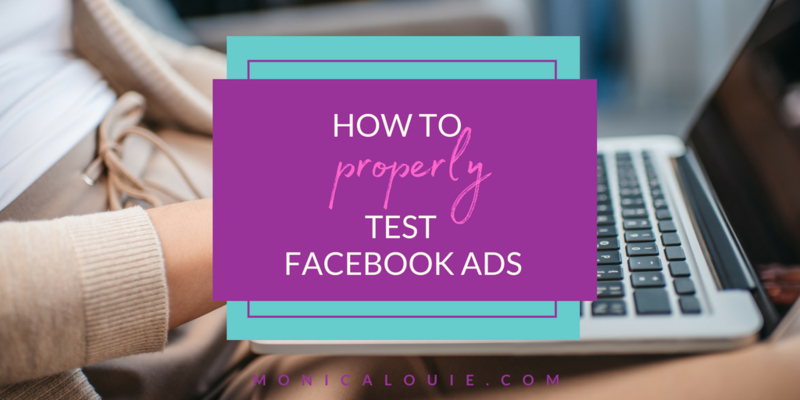 In my latest Facebook Live training, I’m sharing the exact benefits of testing your Facebook ads and why it’s SO important to the success of your ads! For example, I may have an ad with the goal to drive traffic to a blog post, and another with the goal of driving traffic to get people to join my email list for a free lead magnet. These are two separate goals since one of them is a Traffic campaign and other is a Conversion campaign. To properly test each one, I’ll choose one goal per campaign. I will then create multiple Ad Sets under each one of these campaigns. (1:52) This allows me to test which of the different audiences are responding best the ad. Finally, I’ll only have one version of the ad per Ad Set. (2:10) This allows me to separate each version of the ad for further testing without getting the results mixed up with other similar ads. When testing out different components of an ad, I start by testing the audiences first. (2:27) This can keep you from wasting money on audiences who aren’t interested in your ad, or aren’t the best fit for your offer. By testing the audiences first, you can then load different Ad Sets and test a variety of ad options. Test as many audiences as you can with one version of the ad before changing other components (such as imagery, text, headline, etc). Once you’ve tested the audiences first, you can then test variations of the ad. (2:55) Once I see results and which audiences are best, then I test different variations of the ads. I start with making changes to the image, since this is the most powerful attention-grabbing element of an ad when seen in someone’s news feed. The right image will grab a person’s attention long enough to entice them to read the headline and ad copy, and click the Call to Action. The headline and ad copy are other elements of an ad that you can test after testing different images. Facebook has even added the phrase “Learning” in parentheses next to “Active” after your ad has gone through the approval process to let you know that this strategy is taking place. Once ads have been going for at least 3 days, I start to adjust the ad spend budget. (8:07) I turn off any ads that are running much higher than my lowest performing ad. Remember, this is all relative — if I have an ad at a $0.04 cost per result for a Traffic campaign, I may keep this as the metric I’m shooting for. I’ll continue to keep other ads running within a few cents of this amount as their costs may come down over time. Ad costs can fluctuate from day to day, hour to hour, the time of year or time of week. (9:52) I have consistently seen that ads are usually highest on Wednesdays and lowest on Mondays and weekends. If I start with a $5.00 per day budget, I will increase by $2.50 per day, for a total of $7.50 minimum per day. After I reach $20.00 in daily ad spend for one campaign, then I might increase it an additional $5.00 per day since this will not be as large of a jump for the amount of reach your ad will get. If you increase the ad budget too quickly, it can have an adverse effect on your campaign. Sometimes when you get to the higher ad spend amounts like $80.00 per day, you may have to pull back and decrease by $5.00 or $10.00 to reign the cost per result back in. If you enjoyed this video, let’s connect! Don’t forget to like my Facebook Page if you haven’t already. 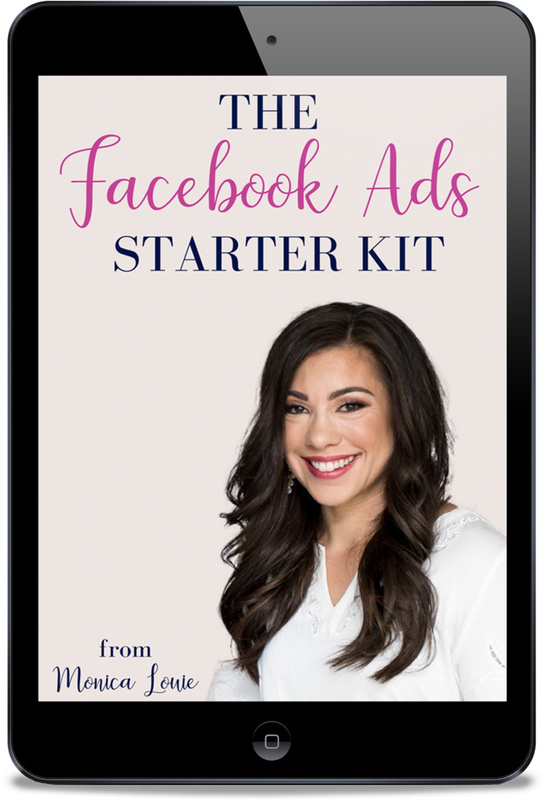 I go live every Wednesday at 1 pm PT and will be sharing much more tips-and-tricks to help you flourish with Facebook ads!